The new Triumph-led Austin Morris management had decided to close the styling studio at Pressed Steel Fisher in Cowley and move all styling activity to Longbridge. 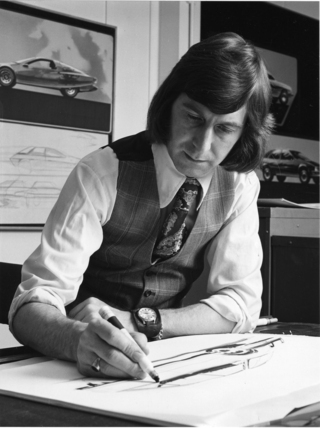 However, Senior Styling Director Roy Haynes decided he would not be making the move and resigned in February 1969 only 16 months after being wooed there from Ford, where he had designed the Mk2 Cortina. Roy Haynes product plan involved A-, B- and C-Class cars. The A- and B-Class cars would have replaced the Mini and 1100/1300 and would have been front wheel drive, the same width and using common components. The A-Class would have had smaller wheels and a shorter wheelbase than the B-Class car. The C-Class car became the Morris Marina, but Haynes hoped to use the floorpan of the ADO28, stretched in length and width for other cars such as MG and Jaguar. However, after the merger, his radical ideas were lost on Sir Donald Stokes and Harry Webster. Many years later Roy Haynes said: ‘It meant relinquishing my lifetimes ambition to see a British automotive company develop into an aggressive market leader worldwide. But there was no point in staying. My philosophy was totally at odds with Webster and Stokes. In one newspaper feature Stokes said he had disagreed with me because I wanted to have too much standardisation – one bodyshell for the whole of British Leyland – and then make it into an Austin, Morris, Jaguar or Rover. The newspaper feature that Roy Haynes referred to was probably an interview with Lord Stokes published by Car magazine in October 1969. Roy Haynes had been hired by BMC and, as a consequence, Lord Stokes, George Turnbull and Harry Webster had no compunction to listen to his viewpoint. Was this another turning point in the history of the British-owned motor industry? The discarding of Roy Haynes forward planning programme, because it was alien to the methods used in both BMC and Standard Triumph, was probably another watershed in Austin Morris’s fortunes and the services of another talented individual were lost to the company. On 24 April 1969 the ADO14 – the last BMC car – was launched as the Austin Maxi. Despite the delay in announcing it, the car was still not ready, so why did British Leyland launch it when it did? British Leyland boasted of testing it in hot and cold conditions, and yet the car was still not saleable. George Turnbull even talked of producing 100,000 Maxis a year. Maybe the extensive testing did knock the niggling faults out of the Maxi, but the fundamental flaws remained. It had a dire cable change gearbox, an underpowered OHC 1485cc E-series engine all contained in a body that, although roomy with five doors, also had excess interior noise levels. Had BMC still been independent in 1969 it would have been a public relations disaster. As it was, it still brought adverse publicity to British Leyland. In private the Leyland men blamed Sir Alec Issigonis, the erstwhile BMC Technical Director, but it was still their decision to launch the Maxi prematurely. Harry Webster and his Engineers did eventually knock the Austin Maxi into shape in 1970, introducing a new rod change gearbox, improved soundproofing and introducing a larger 1750cc version. Positive reviews in the media, particularly in mass sellers like the Daily Mirror newspaper, helped Maxi sales take off, but they never reached anything like the levels BMC had hoped for. In June 1969 the ADO16 Morris 1500 and Nomad models were launched in Australia. Fitted with the E-Series engine (used in the Maxi). The Nomad had a hatchback similar to that of the Maxi. In New Zealand the cars were sold as Austins. This was the kind of car that should have been launched in Europe and it also demonstrated that it was technically possible to upgrade the ADO16 design. The BLMC board approved the styling of the ADO67 on September 19th, which would become the Austin Allegro, announced on 16 May 1973. This was another turning point in the history of the British-owned motor industry. The styling of the ADO67 was the work of Harris Mann, who had succeeded Roy Haynes as Austin Morris’s senior stylist. Mann later distanced himself from the ultimate incarnation of the ADO67, the Austin Allegro, claiming it was a caricature of his original design, but clay styling bucks did look very much like the finished article. In 1973, Austin Morris Chief Body Engineer Tom Penny gave the following version of the evolution of the Allegro’s styling: ‘The Allegro’s looks are the work of one man – Harris Mann, to be precise. Harris is our chief stylist. He came to us from Ford and before that he was with, of all people, Duple the bus builders. One wonders what Sir William Lyons, BLMC board member and no mean stylist himself thought of the ADO67 design? With this event we can see the divergence in approach between Roy Haynes and Harry Webster. Haynes, approach was to develop the ADO22 as a stop gap measure to be followed by a new model which shared its floorpan with a replacement for the Mini. Harry Webster decided to go straight for a direct 1100/1300 replacement, believing that customers would respond more readily to an all new car. Also it appears that Austin Morris had not invited tenders for the ADO67 design from the likes of Pininfarina, Michelotti and Karmann-Ghia, as they had for the ADO28. The Autumn of 1969 saw the demise of the Riley brand and the launch of the ADO20 Mk3 Mini including the long-nose Clubman variant. British Leyland had baulked at bringing out a hatchback Mini Clubman, content that the estate version would do the job for the 1970s. Austin Morris also passed on the opportunity to fit a front-mounted radiator to the Clubman in an effort to improve refinement. BLMC had no intention of spending money on a car with a debatable profit margin despite it global popularity. Pininfarina had already designed new bodies for the Mini, 1100/1300 and 1800. 1969 was a dire year for British car sales, with 965,410 units sold in total. However, despite this Austin Morris had managed to build 254,957 Minis of which 68,330 were sold in the UK and 242,443 1100/1300s, with 133,455 sold in the domestic market. In 1969 BLMC claimed it was producing the 1100/1300 at a rate of 6500 a week. Those pundits and politicians who had argued that the British motor industry had to export mechanically simple and reliable cars ignored the reality that overseas consumers bought the Issigonis front wheel drive designs because they wanted to. If these consumers wanted a simple rear wheel drive car there was plenty of choice for them at the time. It is difficult to see BMC selling as many cars had they been stylish modern designs based on refined Morris Minor or Austin A35 mechanicals. In August 1970 the Daily Mirror newspaper interviewed Lord Stokes, head of the British Leyland Motor Corporation. On the Stock Exchange BLMC shares had crumbled from 1969’s 18s. to 6s, wiping £300,000,000 off the company’s value. Lord Stokes was asked what went wrong? ‘We were happy running Leyland—a well-organized outfit — but one has to look to the future. The idea of a merger with the British Motor Corporation was put into our minds. With pressure and promises from the Government, we eventually agreed to a merger. 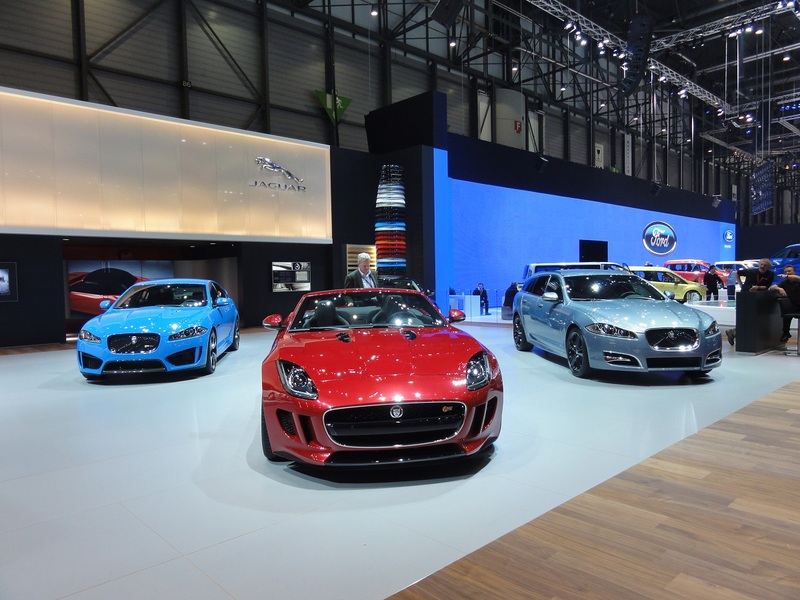 We felt it was vital for this country to have a viable British-owned motor industry. I will admit two failures. ‘We thought BMC was in a better condition than in fact it was. And we thought we would have a better response from people at all levels whose jobs we were trying to save. We were trying to save an industry. But some people cannot see beyond the short term — of getting as much out of it as they can. ‘The BMC cupboard was bare when we opened it. There were no new models. There had been a bad lack of capital investment. We have reorganized Austin – Morris and Pressed Steel into one unit. We have torn down an inadequate motor car factory at Cowley and built a brand new one. We have invested £30,000,000 in producing a new family car — a Morris. It will be out in January. In September 1970 the ADO16-based Australian Morris 1500 and Nomad became available with a five-speed manual gearbox. During the 1969/70 financial year the Austin Morris division of British Leyland lost a staggering £15.95 million. If one is to make out a case that BMC was not going bust, then why did Austin Morris lose so much money selling the same basic models as BMC had only two years before? The British motor industry was plagued by strikes in the components industry during the 1969/70 period which acted as a restriction on production. Mini production in 1970 was 278,950 with 80,740 sold in the UK. 1100/1300 production slumped to 199,269 with 132,965 sold in the UK. Somehow something was going very wrong. The BMC models were still very popular. On 27 April 1971 Austin Morris launched the Morris Marina. It would later assume joke status. But it must be emphasised that it was never intended to be a great car, but one that would sell to the conservative fleet buyers, who mistrusted front wheel drive, in great numbers, which in its early years it did. George Turnbull, the Managing Director of Austin Morris, was looking for a weekly Marina production of around 5,000 although it would be 1973 before this target was briefly attained. At the time the 1100/1300 series still maintained an amazing 12 per cent market penetration in the UK, despite its age. On 23 September 1971 Austin Morris announced the Mk3 version of the 1100/1300 series. Morris saloon cars were discontinued in the UK, but the Morris 1300 Traveller was still available. Austin Morris, in its press release, boasted of having built two million ADO16s, with some 600,000 going for export, 33.69 per cent of production. 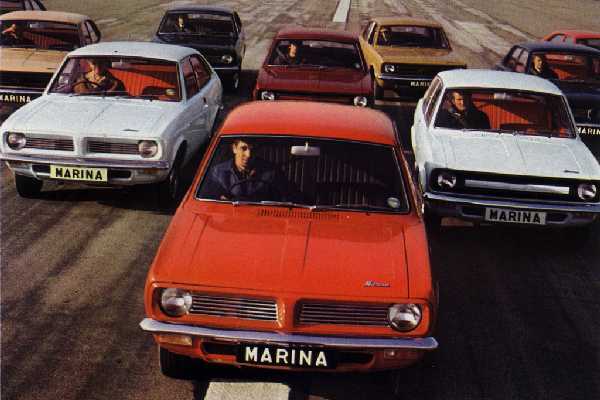 ADO16 production had now ceased at Cowley to create more capacity for the Morris Marina. It is doubtful any Mk3s were built there. The loss of Cowley’s production capacity immediately reduced annual ADO16 production by some 65,000 units, which at last enabled the Ford Cortina, now in Mk3 guise, to become Britain’s best-selling car. This seemed a strange move. Austin Morris were always complaining that they couldn’t make enough cars, now they were deliberately cutting production of their best seller and denying loyal Morris customers the opportunity to buy a new Mk3 Morris 1100/1300 saloon. Yes, the Morris Marina may have been more profitable, but Austin Morris seemed to be reshuffling the pack, rather than producing more vehicles. Indeed, in the 1971/72 financial year, Longbridge actually produced less vehicles at 277,579 compared to 307,669 in 1970/71, a deficit of 30,090. In 1972 it would be the export markets that were denied ADO16s at a time when vehicles such as the Fiat 127, 128 (below) and Renault 5 were on sale. In 1971 the total UK car market was 1.28 million, in 1972 it expanded to 1.63 million. The reality was that the UK car market had expanded by 27.38 per cent in 1972 but British Leyland car production only increased by 3.32 per cent. If one of the functions of British Leyland was to act as an import stopper, then in 1972 it quite clearly failed. After the fine words of 1968 came the reality of trying to create a world-class British-owned vehicle manufacturer which used a heavily unionised workforce that was resistant to change. It appears that Austin Morris did not have the ability or the resources to ramp up production of its three most popular models, the Mini, ADO16 and Marina to meet customer demand. Morris Marina production capacity ate into that of the ADO16 and this contributed to British Leyland’s decline in market share in 1972 from 40.2 per cent to 33.1 per cent, despite a rise in annual car production to 916,218 units. Imports rose from 19.3 per cent to 23.5 per cent, an increase equating to 68,786 cars, a figure near that of the ‘lost’ ADO16 production. How many of these were Fiat 128s? Whether foreign cars were better than the domestic offerings is open to debate, but in many cases they were available for immediate delivery, which for many people was a good enough reason to buy one. In May 1973 the ADO67 Austin Allegro was launched, the first direct replacement for an Issigonis BMC car. British Leyland threw everything into the launch. Lord Stokes was everywhere giving press interviews and he was not shy of putting the boot into BMC. Lord Stokes gave a speech at a lunch at the Savoy Hotel, London, to mark the fifth anniversary of British Leyland. He repeated the mantra: ‘In 1968 we stated that it would take a full five years to see the benefits of our merger and we have worked fairly closely to a five year plan. The pundits and industry analysts had screamed back in 1966 and 1967 that BMC’s alleged declining market share was due to its lack of all new models. This mindset, that new meant better, came to fruition on 17 May 1973 with the launch of British Leyland’s car for Europe, the Austin Allegro. It came with a choice of four engine sizes, 1100, 1300, 1500 and 1750, and would compete in 60 per cent of the British car market. In May 1973 the Morris Marina was creeping up to 8 per cent market penetration. Side by side with the Marina, the Austin Allegro was planned to capture some 8 to 10 per cent of the United Kingdom car market. In the expanded market of 1972 this represented sales of between 131,022 and 163,777. The production build up at Longbridge had gone smoothly and was running at some 1100 to 1200 cars a week at the time of the launch. One of the two 1100/1300 assembly tracks at Longbridge had been converted to Allegro production. When this reached 2500 a week the second line would be changed over, or so it was hoped. By early 1974 the company hoped to be producing in excess of 4000 Allegros a week. Like the Morris Marina, the Allegro was produced by the flat rate system of payment. Filmer Paradise, Director of Sales at the Austin-Morris Division, expressed his confidence in selling the all new Austin Allegro. ‘It is going to be a piece of cake – of all the cars I’ve sold this is going to be the easiest. It is the size the Europeans want, it has front-wheel drive, which they want, it’s got the right shape and styling, it’s got the right spares and parts back-up and it’s the right price’, he said. So the Austin Allegro was launched onto the British market, overseas buyers would have to wait until March 1974, and British Leyland waited for the stampede for the car showrooms. Sadly for its manufacturer, Austin Allegro production never exceeded 2500 a week and was believed to have fallen below 2000 by May 1975. On 29 May 1973 the former BMC/BMH/BLMC Chairman and President of British Leyland, Sir George Harriman died. He was 65 years old. In his final days Sir George had had to listen to negative comments about the state of BMC in 1968 from his successors, but he gave no public display of any feelings of rancour. During 1973 production of the Morris Marina at last reached 5000 per week, but the ‘Barber Boom’ petered out with the October oil price rises and the Three Day Week that began in January 1974. That month Marina weekly production was reduced to 4250 and it appears to have never risen above that again. Lord Stokes had to admit that his company could not make profits while working at only 60 per cent capacity in three-day-week Britain. The rest of the story is well known. In July 1974 British Leyland tried to get finance from the banks, but failed and in December 1974 asked the Government to act as guarantor for further bank loans. The Government instigated the Ryder Report. So was British Motor Holdings going bust? Would BMH have remained independent, was it as bad as the Leyland men made out? We will never know. The credit squeeze of July 1966 put a spanner in the works and threw BMC into financial crisis. Without that BMC would have had a breathing space in which to get its act together. Joe Edwards managed to sort out the styling and marketing issues and was embarking on rationalising the firm. If he had harnessed the genius of Alec Issigonis and got him working in tandem with Roy Haynes, then BMH could have had a future. Certainly a hatchback Mini Clubman and ADO22 1100/1300 would have sold better than sinking millions of pounds into Harry Webster’s solution, the ill-fated ADO67 Austin Allegro. And then there was Jaguar. A smaller Jaguar saloon to compete with Rover, Triumph and BMW could have boosted BMH profits and made Jaguar more immune to fuel price rises. On the debit side, if BMH had needed temporary Government financial help, it would have had to go to the Industrial Reorganisation Corporation and that would have exposed itself to Government pressure to merge with Leyland. Moreover, the underdeveloped ADO14 BMC 1500, later christened the Austin Maxi by Lord Stokes, would have flopped, exposing BMH to more ridicule. Additionally, the rapidly deteriorating industrial relations scene as the 1970s dawned would make the financial viability of British industry in general untenable. There were outside factors that influenced events. BMH would have had to contend with the poor sub-1 million car UK car market of 1969 and the never-ending strikes in the components industry in 1969/70. What probably finished off British Leyland as a whole group in December 1974 was the Three-Day Week, when it had to operate at an unprofitable 60 per cent of capacity, the failure of the Austin Allegro and the ailing Truck and Bus division, once the profitable cash cow that had driven Leyland into dominating the British owned motor industry. And then we come to the ADO67 Austin Allegro. This was a case of the Leyland medicine killing the BMC patient. If we assume BMH would have designed a fleet car like the ADO28 Morris Marina, it was the brainchild of Roy Haynes, whom BMC had hired, and it was his basic design that reached production, then we do know that BMH would not have produced the Austin Allegro. BMH would have produced the ADO22 update of the ADO16, possibly with a 1485cc E-Series engine and may well have hung on to a 10 per cent UK market share. According to BLMC’s own claims, the ADO67 Allegro represented an investment of £25 million, of which £16 million had been spent at Longbridge on extending and modernizing production facilities. All this money for a 5.3 per cent share of the UK market. A succession of industrial disputes, the Three-Day Week and falling demand for cars because of the energy crisis was blamed for the Allegro failing to have the impact British Leyland expected. In the first three months of 1974 it came seventh in the list of best-selling cars in Britain, a modest performance compared with its predecessor, the 1100/1300. Production was still running at only just over half the weekly capacity of 4500 to 5000 units. Lord Stokes would later claim that British Leyland could sell everything it could make until the energy crisis but, in the case of the Austin Allegro, this was simply not true. Blaming the oil crisis was easy, as was industrial action, and the Three-Day Week, but the Austin Allegro clearly had not clicked with buyers. BLMC executives complained about the car sales declining 30 per cent in 1974, but it was simply a return to normal levels after the Heath governments ill fated attempt to boost the economy and its electoral chances. The 1974 UK car market was only slightly less than that of 1971 and certainly much higher than in 1965, which had been BMC’s best ever year. The ‘Barber Boom’ went bust in 1974, but it did not deflate car sales back to 1960s levels. If the Allegro had achieved the 8-10 per cent UK market penetration target set for it in May 1973 then British Leyland would have sold between 101,492 and 126,865 cars in the UK in 1974. In 1974 the Allegro sold 60,619 in the UK, a market share of 4.77 per cent. If we compare the performance of the Allegro with that of the ADO16 in 1972, the first Longbridge-only production year, we see that the Allegro was losing at least 40,000 sales a year. 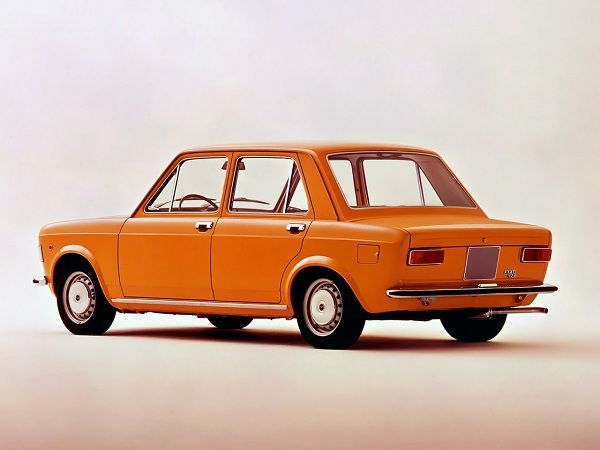 Compared with the ADO16 in 1969, in 1974 the Allegro was losing over 72,000 sales a year. Simply put, the Austin Allegro, with all its extra engine choices, had less sales appeal than a decade old BMC design. A lot of this has to be put down to the dumpy unattractive styling. Moreover, some of the Allegro’s sales seemed to be at the expense of the Austin Maxi, which had been enjoying a minor sales resurgence up until 1974. The Japanese were now demonstrating that they could also make front wheel drive cars and, with the Volkswagen Golf on the horizon as an alternative ADO16 replacement and Allegro rival, British Leyland had shot itself in the foot. Indeed, if British Motor Holdings was going bust in 1968, then the Leyland merger simply speeded things up – because the replacement of the 1100/1300 with the Austin Allegro lost at least 5 per cent of the UK car market. Born in Bedfordshire but now residing in Norfolk, Ian Nicholls is an ardent BL enthusiast. Currently he owns a Jaguar and two classic Minis. A stalwart of the Norfolk Mini Owners Club for nearly a decade he is an enthusiast for all things Issigonis. A stickler for historical accuracy he has recently performed the marathon task of mining the online newspaper articles for all BMC>MG related stories. Ian is unable to help with technical queries – he pays other people to fix his cars!